Sufi poetry has been written in many languages, both for private devotional reading and as lyrics for music played during worship, or dhikr. Themes and styles established in Punjabi poetry, Sindhi poetry, Arabic poetry and mostly Persian poetry have had an enormous influence on Sufi poetry throughout the Islamic world, and is often part of the Sufi music. In Punjab, Sindh and other provinces of India Sufi poetry played a singular role in maintaining communal harmony in turbulent times. Sufi poetry in most of the regional languages and vernaculars of India, by the nobility of its pious feelings and rhythmic rendition, has inspired the people to seek the Love Divine. 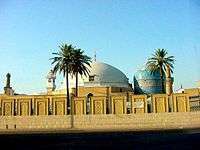 The friendly and tolerant utterances of the Sufis retained the favour of both the Hindus as well as the Muslims and influenced the people's thought and sent the message of peace, love, fellowship, understanding and amity. Sufi poetry has bestowed a remarkable legacy of communal harmony for posterity. "Great Sufi Poets of The Punjab" by R. M. Chopra, (1999), Iran Society, Calcutta. "SUFISM" (Origin,Growth,Eclipse,Resurgence) by R. M. Chopra, 2016, Anuradha Prakashan, New Delhi. ISBN 978-93-85083-52-5.